Supernova SN2011by was discovered by Zhangwei Jin, Ningbo, Zhejiang, China, and Xing Gao, Urumqi, Xinjiang, China on April 26, 2011. 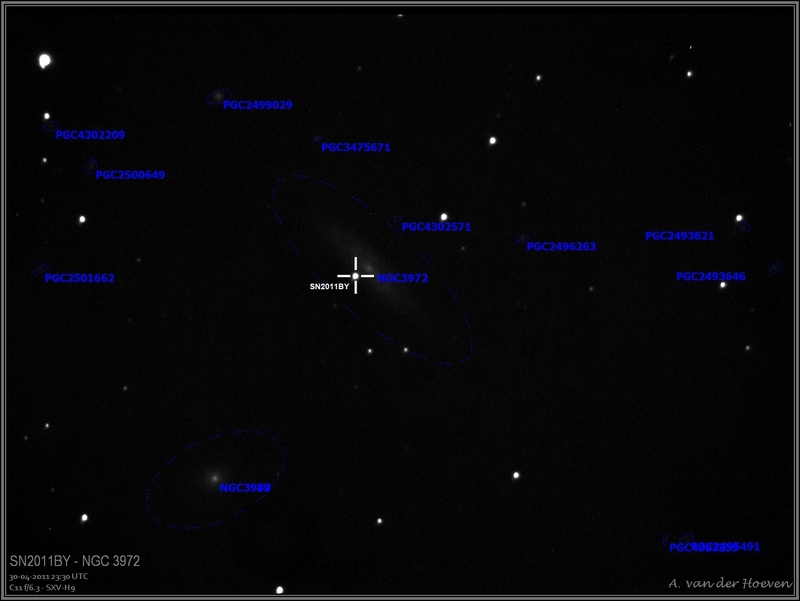 SN2011by occured in NGC3972 in the constellation of Ursa Major. Originally reported at magnitude 14.2 on April 26th, by May 1st, this had changed to magnitude 13. This image was taken on 29-04-2011, just 3 days after its discovery.